In the mid 19th century, Louis Pasteur helped France safeguard its beer and wine industries by establishing a manufacturing process that preserved and protected alcoholic products from spoilage during export. The principles of that system, eventually known as pasteurization, were based on his observations not only that microorganisms could change the molecular makeup of substances, but that they could be killed when exposed to high temperatures. Coupled with the scientific significance of French chef Nicolas Appert’s previous research on sterilization and canning techniques, thermal pasteurization quickly became the de facto approach for food manufacturers wanting to guarantee the safety and preserve the quality of their liquid and some semi-solid products. Certain prepackaged liquid and solid food items can be pasteurized using a large steel tank filled with a liquid (usually water). After the packaged food is loaded in to the tank, pumps apply pressure that changes the food’s cell structure, effectively inhibiting cell division and killing most microorganisms. According to food science research at Rutgers University, “vegetable and fruit products such as juices, salsa, dressing and guacamole; meat products such as ready-to-eat deli meats and poultry; and seafood such as shellfish and fish products” can all be processed using a high pressure pasteurization technique. The tank method is capable of processing a lot of food at one time, making it a good choice for manufacturers with high volume productions. Liquids and some semi-solid products can also be pasteurized with high pressure homogenizers that push them through a series of tubes using a hydraulic pumping system that creates pressure and sterilizes them. The homogenizer then expels the product through a small opening with a drop in pressure that forces cell rupture, breaking the product apart into equally sized pieces that can be easily and uniformly mixed. 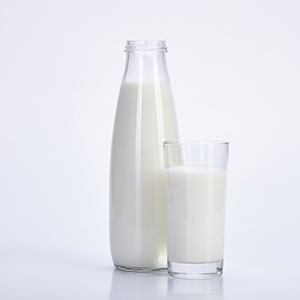 Combining the pasteurization and homogenization process allows manufacturers to more efficiently manage their time, reducing their energy use and waste, and serves as a viable alternative to thermal pasteurization in the milk and juice industries especially. High pressure pasteurization equipment improves the shelf life of products and maintains food flavor and nutritional value. At BEE International, our high pressure homogenizers also provide the added benefit of completely dispersing the particles of your products, allowing for uniform texture in addition to taste. This means you can use our homogenizers to enhance more than just food products. Our high pressure pasteurization equipment improves pharmaceutical, chemical, biofuel and cosmetic manufacturing and aids in RNA extraction and oil emulsification processes. Contact us to learn how it can help you, too. Most people in the biotech, pharmaceutical, cosmetic, and food industries are familiar with homogenization – the process of reducing particle size. But what about high pressure pasteurization? This technique has been around for quite some time, and is slowly gaining commercial importance. Continue reading to learn more about this growing technique, and how it is best utilized in various manufacturing industries. High pressure pasteurization, also known as high pressure processing, or simply HPP, is a pasteurization method that uses pressure rather than the traditional method of heat to kill microorganisms in food. This process is significant, as it helps to extend the shelf life of both liquid and solid foods, and it improves the safety of foods as well. This is done through killing spoilage organisms, including yeasts and lactic acid bacteria, as well as pathogenic microorganisms, such as E. coli, listeria, and salmonella. The process of high pressure pasteurization is relatively simple. First, product enters the system and is pumped up to the desired pressure; this pressure is maintained during the entirety of processing. Next, the product passes through a small orifice and undergoes a drop in pressure; this utilizes the force of cavitation, which works to rupture cells. To learn more about our line of high pressure pasteurization equipment, please contact us today. For even more information on our core technology, and to see an animation illustrating how our technology can be customized for your application for efficient and consistent results, click here. Homogenization vs. Pasteurization: What’s the Difference? Homogenization, also known as particle size reduction or micronization, is an essential step utilized in a number of growing industries: pharmaceutical, biotech, chemical, cosmetic, and food. The act of homogenization allows for numerous benefits to the end product: longer shelf life, increased stability of the final product, and lower overall cost. It’s no wonder more and more companies are taking advantage of this powerful process! 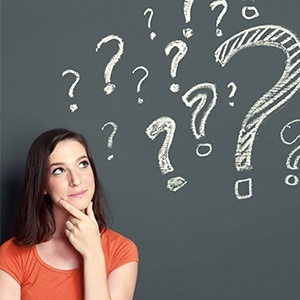 However, before choosing the right homogenizer for the task at hand, it is important to understand what homogenization is – and what is isn’t. 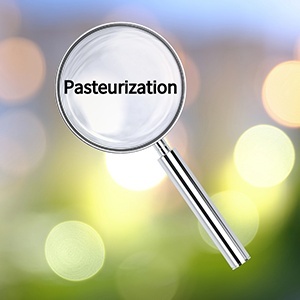 When asked to describe homogenization, many people mistake it with a different process – pasteurization. 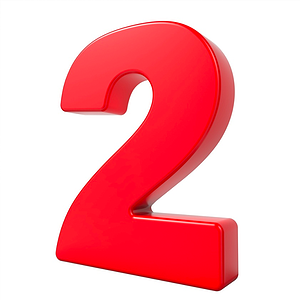 And while the two processes have their similarities, they are very different. Continue reading to learn more about the critical differences between homogenization and pasteurization. Pasteurization was first invented in 1864, when French scientist Louis Pasteur discovered that the bacteria that caused spoilage in beer and wine could be killed simply through heat. This discovery was revolutionary, as it allowed these and other products to enjoy a longer shelf life and increased quality. Today, pasteurization is used in a number of industries, including dairy, food, wine, and other beverages – both alcoholic and non-alcoholic. 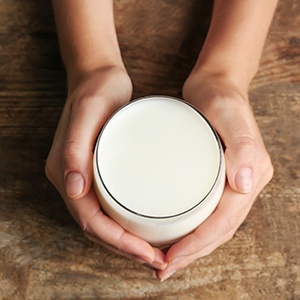 While pasteurization is not designed to kill all of the bacteria present in any given product, it greatly reduces the number of harmful pathogens, making milk and other beverages safe for human consumption. Homogenization, on the other hand, is an entirely separate process from pasteurization – in most cases, this step occurs after pasteurization. Homogenization does not do much when it comes to eliminating bacteria, but it has another crucial benefit – it works to improve the quality and taste of food. In the case of milk, this is achieved by breaking down fat molecules so that they resist separation. The end result is an evenly mixed finished product that looks – and tastes – smooth, creamy, and consistent. With the main differences out of the way, you can now choose the right homogenizer for your industry’s needs. BEE International offers a number of high quality, high pressure homogenizers for the needs of virtually every industry. Our homogenizers work well in any setting – from small labs all the way up to pilot plants and full scale production. Contact us today to learn more about our homogenizers and how they can help your company achieve its production goals. Pasteurization of milk, on the other hand, occurs before the homogenization step and is a more involved process that involves heating milk up and then quickly cooling it down. This allows for a longer shelf life, and also kills many (but not all) microorganisms often found in milk. In the field of pasteurization, BEE International is hard at work to ensure the most effective, repeatable, stable, and high quality methods of pasteurization in order to remove food borne pathogens, reduce costs, and improve shelf life of pasteurized products. To learn more about our technology and how it can be customized for your application for efficient and consistent results, please contact us today. You can also view an animation of our technology by clicking here. High Pressure Processing (HPP) is a pasteurization method that uses high pressure instead of heat to kill microorganisms in foods. This process goes by many other names too, including High Pressure Pasteurization, Pascalization, Bridgmanization, Cold Pasteurization, Ultra High Pressure (UHP) Processing, and High Hydrostatic Pressure (HHP) Processing. HPP is used for preserving and sterilizing food products. The high pressure inactivates bacteria, viruses, yeasts, molds, and parasites present in food; as well as food enzymes. Typical pressures applied to foods range from 300 – 800 MPa (43,500 – 116,000 psi). Food products can be HPP processed with or without packaging. Heat may be applied; however, HPP is mainly conducted at refrigerated temperatures, relying on pressure alone to process the food. The absence of heat is key; as this means that the food retains important components like vitamins, antioxidants, and its color and flavor profile. HPP is not the ideal preservation method for all kinds of food, neither is it effective against all microbial forms. Spore-forming organisms are highly resistant to HPP when they are in their spore form. The spores of Clostridium botulinum, for example, can thrive in low-acid foods and produce a deadly toxin. These spores require a combination of pressure and heat, or some other antibacterial intervention in order to eliminate them. HPP can cause undesirable sensory changes in certain foodstuffs. In foods like eggs, the denaturation of protein can be visually apparent. Very high pressures can also damage the appearance of delicate foods like strawberries or leafy greens. BEE International technology has a modular approach which supports a wide variety of process configurations including applications like HPP. Our high pressure homogenizers meet stringent FDA requirements with options such as automated control, in-line process design, data gathering, SCADA and validation documentation. We are here to help you find the right equipment for your specific application. Contact us today to learn more about high pressure homogenization and let us help you make the right decision. If you could choose between two foods, both of which provide equal nutritional value, yet one will spoil tomorrow and the other will last you for months, which would you choose? An increasing proportion of people are trending towards the latter, which is available due to high pressure pasteurization (HPP). HPP is a food processing method that holds numerous consumer benefits compared with other existing processing methods, and may very well be the future of food processing. Keep reading for tips on why HPP is right for your laboratory. Raw products that are processed through thermal pasteurization undergo significant alterations to their texture, flavor, and nutritional content. Importantly, heat exposure can destroy some vitamins that comprise the high nutritional value of some fruits and vegetables. HPP, however, applies pressure instead of heat, so allows for preservation of these critical elements. One of the key benefits of HPP is its ability to enhance food safety while also conferring fewer costs, compared with other pasteurization methods. Some of the safety benefits include elimination of foodborne pathogens & organisms, as well as elimination of some bacterial spore strains. Using HPP can also save money by reducing the need for processing chemicals, recalls, transportation, and costs associated with thermal processing. An added bonus is the money saved for the consumer when their food’s extended shelf life results in fewer incidents of food spoilage. When your laboratory decides to use high pressure pasteurization as your beverage preparation method, one of the first items on the agenda will be to acquire appropriate equipment. BEE International (BEEI) is globally renowned among laboratory scientists and researchers for its innovative technology. Our high pressure processing and pasteurization equipment helps improve color, flavor retention, shelf life, and texture. Importantly, it supports a growing demand for organic and preservative-free products, as naturally-occurring vitamins and antioxidants remain in food. BEE Interational’s pilot scale high pressure processing HPP system is designed for enhanced experimentation. This means that the scientist can easily adjust hold time through a simple series of valves while maintaining maximum pressure and continuous flow. Many Americans get a substantial amount of dietary calories not from the food they eat, but from the beverages they drink. Yet many of these beverages, even those labeled as all-natural or healthy, are free of nutritional value and simply provide empty calories. High pressure pasteurization (HPP) is an emerging beverage pasteurization method that has many benefits compared to the traditional methods, and which can help your laboratory produce a safe and nutritionally sound beverage. 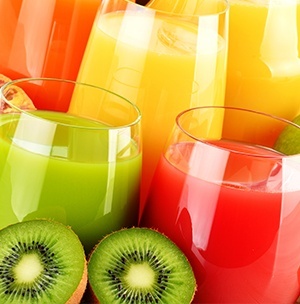 Keep reading for the reasons you should use HPP for your beverage preparations. Food and beverage corporations that do not use HPP to destroy harmful pathogens likely use traditional thermal pasteurization instead. The key difference between these is that the traditional method uses heat, while HPP uses pressure. The heat method has been shown to damage and/or destroy key nutrients that are naturally found in these beverages, and is a central motivator for industry leaders to use HPP instead. HPP has been shown to preserve the nutritional value of beverages while also maintaining natural flavors, an achievement that no other process can claim. HPP’s ability to increase safety while simultaneously maintaining nutrient quality is a key factor to consider when determining beverage ingredients. 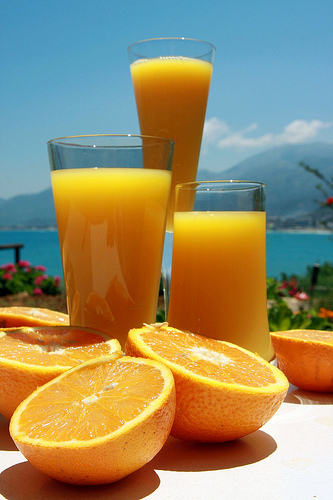 Beverages that are destined for thermal pasteurization may not include ingredients whose quality nutrients will be cooked out, as it would be a waste of money and resources. However, HPP-treated beverages can include ingredients that may not have previously been considered for pasteurized beverages. An additional benefit to using more ingredients is the decreased need for artificial ingredients, whether for flavor or nutritional purposes. When your laboratory decides to use HPP as your beverage preparation method, one of the first items on the agenda will be to acquire appropriate equipment. BEE International (BEEI) is internationally renowned among laboratory scientists and researchers for its innovative technology. Their high pressure processing/pasteurization equipment helps improve color and flavor retention, shelf life, and texture. Importantly, it supports a growing demand for organic and preservative-free products, as naturally-occurring vitamins and antioxidants remain in food. BEEI’s pilot scale high pressure processing HPP system is designed for enhanced experimentation. This means that the scientist can easily adjust hold time through a simple series of valves while maintaining maximum pressure and continuous flow. The present-day food and pharmaceutical industries are overrun with misconceptions about ingredients, processes, and treatment. As quickly as one study promotes a treatment, a highly contrasting finding soon surfaces. For the consumer, this can be incredibly confusing and misleading, causing one to wonder what to believe. As researchers who synthesize these products, it is critical that we have an accurate understanding of every aspect of our processes. In this writing, we tackle pasteurization and homogenization: When should each be used? And how can you as a researcher ensure that you are producing a high quality and effective product? Made famous by the infamous Louis Pasteur, pasteurization involves heating food to a specific temperature to target and kill potentially harmful pathogens and contaminants. Milk, eggs and products made from milk need minimal processing, called pasteurization. This process includes: heating the milk briefly (for example, heating it to 161°F for about 15 seconds), rapidly cooling the milk, practicing sanitary handling, and storing milk in clean, closed containers at 40°F or below. In contrast to pasteurization, homogenization can be applied to more than just foods; homogenizers can yield emulsions, dispersions, suspensions, and more, which can be used across industries. 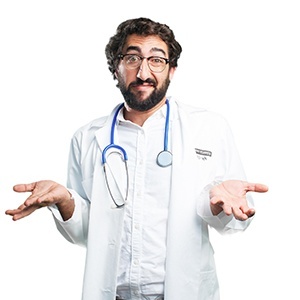 The single classic food example is milk, yet there are almost too many pharmaceutical products to name; creams, vaccines, antibiotics, steroids, cancer drugs, and nutraceuticals are just a few. Homogenization has been described as fuel for cancer growth and digestive problems due to protein polymers escaping the digestive process. However, there are few bodies of actual research indicating these claims to be founded. In fact, pharmaceutical products that are synthesized using high quality homogenizers are typically more effective, visually appealing, and overall higher quality than those produced using a low-quality homogenizer or none at all. Regardless of the type of product your lab is working to synthesize - pharmaceutical or food- it is important to acquire homogenizers and pasteurizers that are high quality, and come with effective product support. BEE International Technologies is trusted by pharmaceutical researchers and lab managers around the world. Our high pressure homogenizers deliver an array of key benefits, such as production of nano/micro emulsions and dispersions and lipids and suspensions; these can be used for applications such as injectables, targeted drug delivery, inhalants, time release, anesthetics, and vaccinations. In addition, we have extensive experience in the challenges that their pharmaceutical customers face as they transition from concept, through to R&D, clinical trials, all-important FDA approval and finally, to manufacturing. 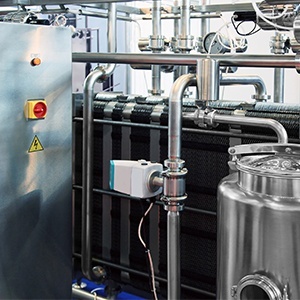 The food industry has struggled with one question for years, “How do you remove harmful bacteria from food without sacrificing taste and quality?” High pressure pasteurization (or processing; HPP) is becoming a popular choice amongst food manufacturers, due to the fact that it does not expose food to detrimental processing. Heat, which is a popular choice, could potentially change the flavor and nutritional content of a product. This happens when organic matter has been burnt off while neutralizing bacteria and must be supplemented, resulting in obvious changes in composition. New ways to pasteurize with high pressure are likely being developed, but at this time there are only two popular methods of production. Pasteurization using large tanks is fairly common and simple. Prepackaged food is placed into a tank filled with water. That water is then pressurized, meaning that high pressure is equally distributed throughout the tank, neutralizing the bacteria. The food is unchanged because the pressure is equally distributed throughout the food. The advantage of the tank method is that it can pasteurize large amounts of solid food at one time. One downside is getting the food in and out of the tanks takes time and involves manual labor. The other form of high pressure pasteurization involves using a high pressure homogenizer to pasteurize liquids or semi-solid products. The product is fed directly into the device and then pushed through a system of tubes and nozzles using the intensified pressure generated by a hydraulic pumping system. The advantage to this form of high pressure pasteurization is that it also allows the product to be emulsified or even broken down while being pasteurized. This removes a step for those products that benefit from the combination of cell rupture and organic matter size reduction. While heat could be a factor during HPP (since it is released when pressure is heightened), heat exchangers and chillers can be used to keep product temperatures low, eliminating any harmful side effects from the processing. Overall, high pressure pasteurization is a profitable option for the food industry. It neutralizes bacteria while leaving taste behind. The option that any manufacturer chooses is going to be based on their needs. For liquid and semi-solid products, using a high pressure homogenizer is both cost effective and recommended. Product can be both processed and pasteurized simultaneously, meaning that much of the labor used during manufacturing can be applied elsewhere and workflow can be streamlined. For solid products, and those that would not benefit from homogenization or mixing, the tank option is perfect. Large amounts of food can be pasteurized at once, after it has been processed, meaning that quality and taste is retained and any harmful bacteria neutralized. No matter which method is appropriate for a product, you cannot go wrong with high pressure.